Back in the 17th century, "Le Grand Jardin" became the fiefdom of the Fresse de Monval family, one of the most powerful families in the region. The founder of this dynasty was granted the title of secretary and advisor of King Louis XIV and given a seat at the Parliament of Provence. Around 1680 the family had a country house built on their lands, which would serve as a basis for the erection of the present castle built under Napoleon III. This huge estate was part of the charming alluvial valley that stretches as far away as the thermal city of Gréoux-les-Bains. Facing the building, a water-mill erected at the end of the 17th century and still existing nowadays, provided flour to the Chateau. The moat was built in the early 17th century and is an alignment of eleven arched basins. It is an architectural gem in Provence and a considerable reserve of water for the gardens. The whole water is provided by the overflow of the public fountain that has been generously running for over five centuries. You may as well note that, at the bottom of the last basin, below the terrace and next to the main building, an underground gallery has been dug. Quite indiscernible because of its partial immersion, it might have been used as an exit allowing people to escape. The denomination "Chateau" became fully justified at the end of the 19th century. At that time, important works of extension were carried on by the de Fresse de Monval and d’Auvergne families: an octagonal tower with a rear kitchen, a reception room and a billiard room were erected on the east side in addition to two extra floors on the west side. Outbuildings were created on the west side: A wine cellar which has now become a reception room, stables and a surprisingly small building at the west end, whose three levels are connected with an exterior stone staircase, which happens to be an aviary with ground-floor niches and an inner courtyard enclosed by a wrought iron gate and wicket. The family also decided to build a caretaker’s house, a two-pillar gate, a neo-Gothic chapel that would replace the 17th century oratory that had fallen into ruin as well as a second water mill hidden in the lush vegetation facing the chateau, in the valley. All those extensions and facades were made at the end of 19th century in the neo gothic / Napoleon III spirit. Solid brick was used in decorative elements, which is very unusual in Southern architecture. Even the pools were redecorated with the addition of bricks. In the vicinity of the Fresse de Monval family resides the de Villeneuve Esclapon family whose property is called "Le Clos". 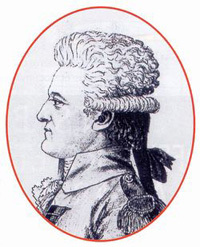 Admiral de Villeneuve was born in Valensole in 1765. 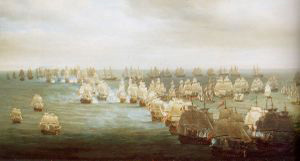 You may bear in mind that Napoleon gave Villeneuve the command of the Franco-Spanish fleet in 1804 and he failed against Nelson at Trafalgar. 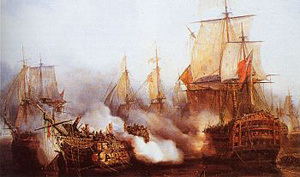 The admiral took care of his estate in Valensole between each offshore operation. The relationships between the two families were friendly. 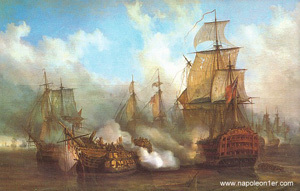 At the time of the tragic case of Trafalgar, the Admiral’s brother Louis Auguste de Villeneuve Esclapon married Julie Anne De Fresse de Monval. Thus, during the first half of the 19th century, "le Grand Jardin" was in the family De Villeneuve. If only the walls of this house could talk and reveal some snippets of conversations and feelings exchanged with Admiral de Villeneuve in this house during his times of glory and misfortune! In 1882 JeanneÂ Bonaparte,Â Napoleon’sÂ nieceÂ through his brotherÂ Lucien,Â becameÂ the stepdaughterÂ ofÂ Henriette deÂ FresseÂ ofÂ MonvalÂ andÂ Jules De VilleneuveÂ Esclapon,Â by marrying their son, Christian deÂ Villeneuve.Â JeanneÂ often spent her holidaysÂ with her in-laws, at the chateau ofÂ ValensoleÂ until 1910,Â the year she died. 1934 was a dreadful year for the Fresse de Monval family. Although owners for nearly three centuries, they were forced to auction off the Chateau with its lands to pay off their last heir’s gambling debts. Thus, the property was bought at a very low price by a shepherd, mainly for its land. The buildings were left to derelict, only partly used as sheep pens. However, during the Second World War, the chateau was requisitioned by the German army and mostly occupied by Mussolini’s army until 1943. The current owners bought the property in 2001 and undertook a large restoration. Driven by a burning passion, they unabatedly carry on their work of rehabilitating the building of French heritage, with the aim of giving back this prestigious place its old character.